Spectacular kit WiFi that reaches 5k of distance to be able to have internet access at home. 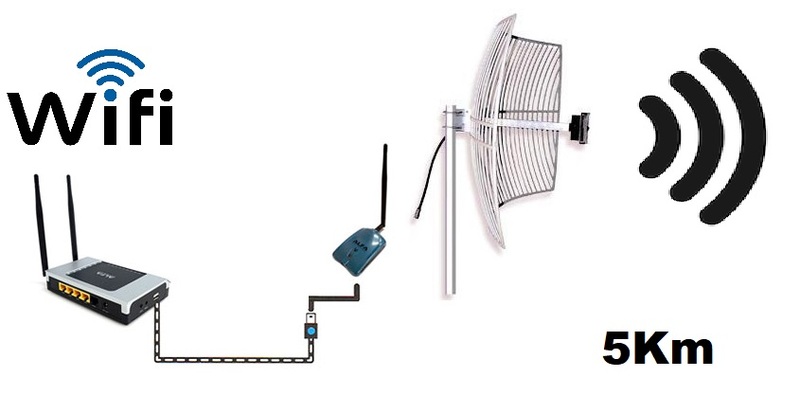 The complete Kit allows you to connect the USB card ALFA AWUS036NHR-chip RTL8188RU , so you can connect a long-range antenna parabolic WiFI AGA2424-T. The kit comes configured and ready to mount and use. Once you have installed the router emitira a new WiFi network within house with connection to the internet by linking with the satellite dish WiFi up to a distance of 5km. If in a radius of 5km you have a wifi network open, or know the password, then you can install the internet, free home WiFI. 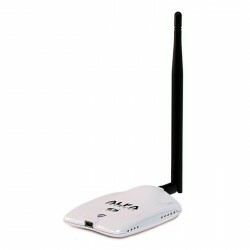 1) The Router AIP-525HU is a router of the brand Alfa Network USB Port. Router with a USB port to repeat the internet of antennas and WiFi adapters high power. It is a new model of router from Alfa Network that works just like the router USB Alfa R36 but it also has 4 ports for Ethernet LAN and 1 port injector POE. The USB port is compatible with WiFi adapters USB lead chip Realtek RTL8812AU, RTL8188EUS, RTL8188RU , Ralink RT3572. 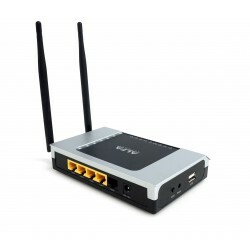 - Greater coverage, Router long distance, better performance, and improved sensitivity of WiFi receiver. - Power devices passive PoE. Mac (10.4.x / 10.5.x / 10.6.x / 10.7 / 10.8) Power PC & PC. 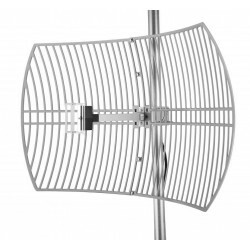 The best WiFI antenna d e frequency 2.4 Ghz to largolacance. The WiFi Antenna model dish rack is made of aluminium alloy, can be used both with vertical and horizontal polarization. 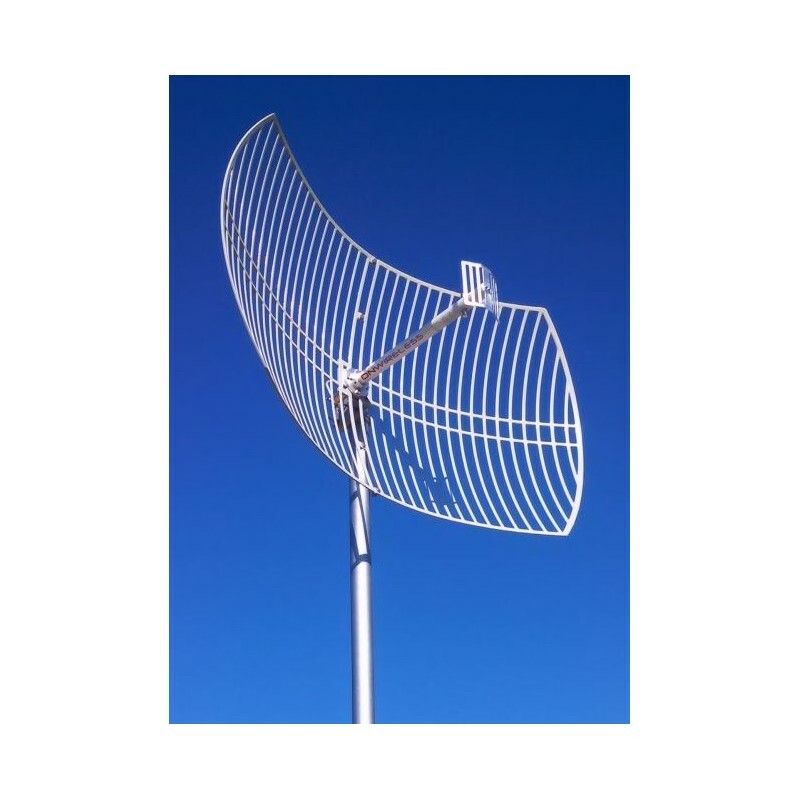 Recommended by Alfa as the best wifi antenna to connect to long distance up to 5km from a house to another, or to open, public networks free of charge. Frequency wifi standard 2.4 GHz. Superior performance to other similar model. Quality assurance Alfa Network. Construction of high quality Aluminium. Direccionablidad: 10 ° (vertical) / 14 ° (horizontal). 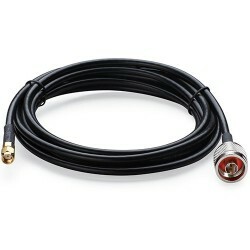 You can receive a variety of networks without the need to orient the antenna directly. Diameter of the mast: 30-50. Is the cable required to connect the USB card to the parables exteriror. The large connector is type - N male - and small-type to RP-SMA Female ( male Body and female pin ). 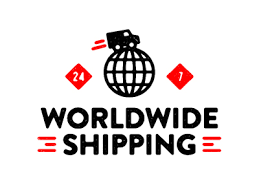 The RP-SMA connector is the appropriate one to fit the outputs of antennas of all the router and USB adapters WIFI standard and the N-type connector is the one that fits in the antennas of large-size foreign-type parabolic or yagui.